Inimitable. Unmissable. Irresistible. Holy Ship! returns to the Caribbean in 2019, revealing the dates for its eighth year, with back-to-back sailings in January. Presented by HARD Events, Cloud 9 Adventures and The Bowery Presents, the twelfth and thirteenth editions will sail on Norwegian Cruise Line’s spectacular cruise liner, the Norwegian Epic, with the four-night 12.0 sailing January 5-9, 2019 immediately followed by the three-night 13.0 sailing January 9-12, 2019. 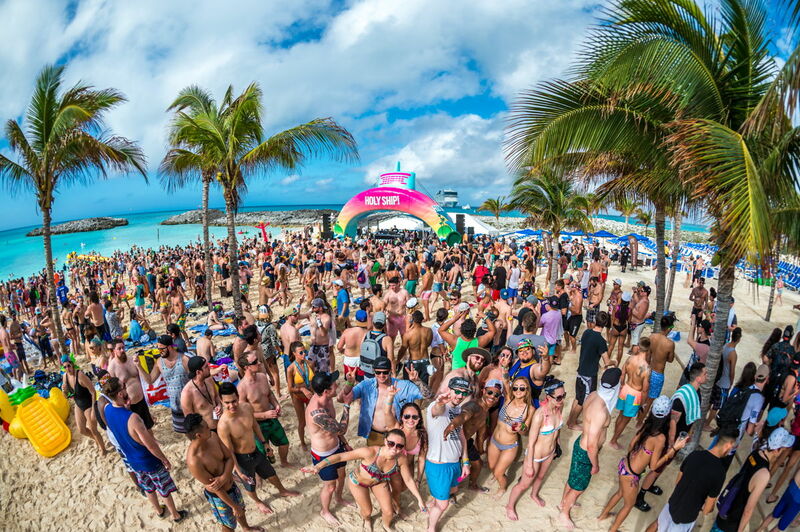 Sunrise sets, poolside parties, intimate venues, curated activities, private island excursions, and community outreach with charity arm Positive Legacy make Holy Ship! a floating festival like no-other. World class musical talent paired with an incredible luxury vessel and iconic group of fans on Norwegian, one of the world’s top cruise lines. After eleven sailings, Holy Ship! has built a fan and artist community that has to be seen to be believed. Superstar DJs mingle shoulder-to-shoulder with fans in close quarters, leading games and experiences you will never find elsewhere. Surprise sets abound – where else would you find Claude VonStroke, Kaskade and A-Trak playing an unannounced B2B at 4am? While clearly being the main feature, artists are only part of the main attraction. Sharing high-fives and smiles 24/7, spending months designing and planning hilariously inventive party costumes and bringing an anything-goes vibe to the dance floor, Holy Ship’s legendary ShipFam community has made Holy Ship! a standout experience across the globe. Each of the Holy Ship! 2019 sailings will depart from Port Canaveral and chart a course to the Bahamas, with official pre-parties to be scheduled. The itinerary for 12.0 includes two days at Great Stirrup Cay, giving shippers two chances to experience the famed private island parties, followed by a day at sea, before heading home. 13.0 will feature a full day of sailing upon the open seas and a day-long party stop at Great Stirrup Cay before heading home. Cabins go on sale to returning ShipFam at designated times between March 6-9. 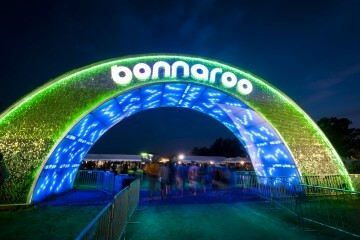 If any cabins remain, they will go on sale to the general public at 2pm EST on Wednesday March 14. Given that each of Holy Ship’s previous eleven sailings sold out, fans would be advised to mark their calendars!